The National 18 ft Class scored big last weekend finally making the breakthrough everyone knew was possible with a new Morrison designed National 18 winning the Datchet leg of the GJW Direct Sailjuice Winter Series in the UK. 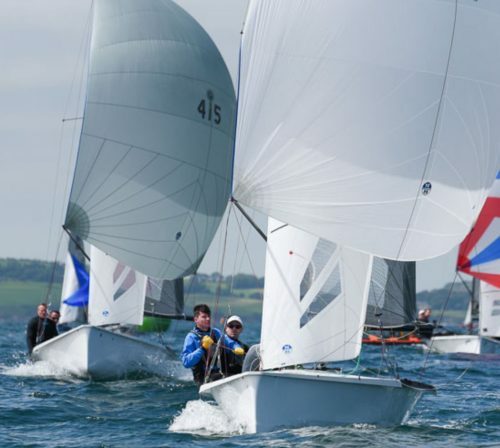 This mixed dinghy handicap series is the biggest in the UK regularly attracting entries of more than 100 boats at each of the seven regatta’s. The win was all the more impressive as helm Peter Gray with crew Rich Pepperdine and Simon Forbes were sailing a National 18 for the very first time. 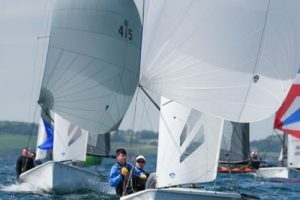 Their results on Saturday couldn’t be matched in a mixed dinghy fleet brimming with talent. With the Sunday pursuit race cancelled due to adverse weather the team from Staunton Harold Sailing Club were declared the winners. The National 18 ft class celebrates its 80th birthday in 2018 but as members and follows know the class is not acting its age. The Morrison designed “Ultra” division was launched in 2015 following an ambitious modernization program. The Ultra fleet is growing quickly with five new boats currently on order taking the 2018 UK and IRL fleet size to twenty six boats with a second hand market also beginning to develop. With additional ongoing interest that number is sure to increase in the coming months.